Description: Students are making a difference. The University of Connecticut is in my backyard. I receive a newsletter that highlights important work being done across campus. It is here I found Kelly Rafferty and the UConn PIRG chapter tackling ‘zero plastic bags’, taking practical action making this a reality. How did they do? They were successful! The dining Department has done away with plastic bags. Kelly and her group of volunteers polled, presented and accomplished the task of taking plastic bags out of dining services. She and her team offered practical tips, education, and alternatives to students and faculty. After 8 months of diligent work, ‘no plastic bags’ through dining services is now a reality. Join us for her insightful discussion on the detrimental effects plastic bags have on our health, the environment, how the use of plastic bags depletes our resources and wastes taxpayers money. About My Guest: Kelly Rafferty is a junior English major student at the University of Connecticut. She is a member of UConn PIRG, a student-run, non-profit advocacy group. In particular, she has been the campaign coordinator for the “Zero Waste” on campus whose mission is to eliminate plastic bags. Join us for an insightful discussion where students such as Kelly are making a difference one school and one town at a time to reduce waste which helps clean up our environment. Actions we desperately need today. 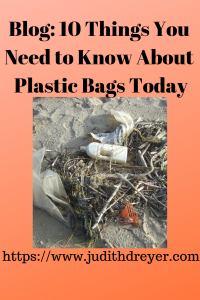 Blog: 10 Facts Need to Know About Plastic Bag Use Today. Students at the University of Connecticut are making a difference one issue at a time. Over this past year, the PIRG chapter volunteers got plastic bags banned from dining services. It’s all part of UConn PIRG’s zero waste campaign. Can we make a difference by decreasing plastic bag usage? These students, 2 of whom are my podcast guests this week and next, said yes. They researched the issue, offered education, got students and faculty to sign petitions and basically got the job done. I’m proud of them for their efforts, their enthusiasm and their willingness to create change, one that promotes sustainability and takes care of the earth for the future. 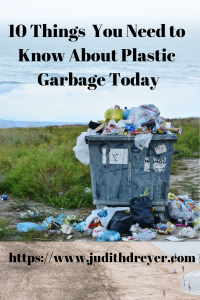 However, I wondered about the facts around our use of plastic bags today? So, I decided to look into the issue more deeply. It’s simply astounding. And I feel saddened to think we have waited so long to take action over a serious problem that has shown us the error of our ways so graphically. Why are we taking so long to make a difference for us and all species? “The use of plastic bags in England’s supermarkets was out of control in 2014. More than 7.6 billion carrier bags were handed out to customers that year and that figure had been on the rise for the previous four years. We use 1 trillion plastic bags worldwide, a product that consumes resources, contributions to species deaths, adds to pollution. The European Union is beginning to get behind promoting a decrease in plastic bags due to the great harm seen in our oceans and other waterways. Plastic baags contribute to malaria in Kenya. Camels and other animals such as cows and sheep die from plastic bag ingestion. According to National Geographic: 18 billion pounds of plastic waste flows into the ocean every year from coastal regions. That’s the equivalent of five grocery bags of plastic trash sitting on every foot of coastline around the world. And 40% of plastic produced is packaging, used just once and then discarded. How does the US rate in recycling plastics? We recycle 9% compared to Europe at 30%. Here in the Us, we throw away 100 billion plastic bags annually. That’s about 307 bags per person. If a ton of plastic bottles is recycled, the energy that is saved is the same as the amount of energy used yearly by a two-person household. Join us for an insightful discussion and practical tips. About My guest: Kyleigh Hillerud is a sophomore at UConn, studying visual media and design, a Fine Arts major. She is also UConn PIRG Campaign coordinator for PIRG’s Zero Waste Campaign. PIRG is a student advocacy group, non-partisan, non-profit, one where students can join and make a difference in a variety of ways. Zero Waste is an option. Kyleigh as Coordinator and her team are celebrating a huge success on campus, taking practical action over the past eight months to effect change. Because of their efforts, dining services have adopted zero plastic bags. Description: Can we use the holistic model to grow better men? Yes, we can, with diligent effort, consistent parenting and more. My guest this week, Dan Blanchard, special education and social studies teacher in Connecticut’s largest inner-city high school was chosen by the AFT-CT as the face and voice of educational reform. Together we use the holistic framework for this podcast to go deeper. Dan tells us a story about how his honest approach to his students makes a difference. About My Guest: Dan Blanchard the Best-Selling Author, Award-Winning Speaker, and Educator, as well as, two-time Junior Olympian Wrestler, and two-time Junior Olympian Wrestling Coach grew up as a student-athlete. However, Dan admits that as a youth he was more of an athlete than a student. Dan has now successfully completed fourteen years of college and has earned seven degrees. He teaches Special Education and Social Studies in Connecticut’s largest inner-city high school where he was chosen by the AFT-CT as the face and voice of educational reform and is now on the speaking circuit for them. Dan was with the team that put forth Connecticut’s new Social Studies Frameworks and is also a member of the Special Education Advisory Board to the Connecticut State Department of Education. In addition, Dan is a Teacher Consultant for the University of Connecticut’s Writing Project. Finally, Dan is a double veteran of the Army and the Air Force. I am deeply honored to have the pleasure of interviewing Gunther Hauk again this week. His wisdom, his experience as a biodynamic farming expert and honeybee expert make him one of our true elders. I had the wonderful opportunity to visit Spikenard Farm and Honeybee Sanctuary, in Floyd VA, a few years ago. I lived near Culpeper, VA at the time and got up early to make the 5-hour road trip so I could arrive by 9:30 am. After introductions, Gunther, of course, puts all volunteers to work and we got an assignment. We seeded an additional wildflower area for the bees. We harvested weeds for the compost pile, all accomplished in a light misty rain. He hoped for an opportunity for me to experience a swarm, but not that day. We ended the morning with stimulating conversation and lunch. I felt honored to be a part of their workday. The folks I met deeply cared for and respected the honeybee species in particular but also nature in all its complexity. I recorded my experiences here. 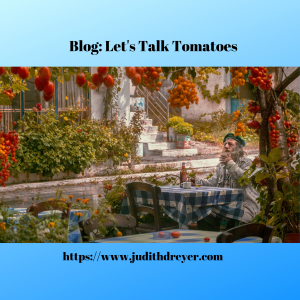 Go to my blog post: Beauty and the Bees: https://www.judithdreyer.com/gardens/beauty-and-the-bees/ for more. Needless to say, I had much to ponder on the ride home. I hoped to capture something of the essence of their efforts through my writing. When the podcast series began I thought of Gunther and I am so grateful for his time and sharing over this past year. “More than 1,000 of all pollinators are vertebrates such as birds, bats, and small mammals. Most (more than 200,000 species) are beneficial insects such as flies, beetles, wasps, ants, butterflies, moths and bees. In the U.S., pollination produces nearly $20 billion worth of products annually. Monarch butterflies have declined by 90% in the last 20 years. 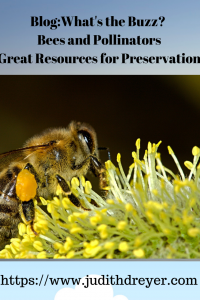 I found this great offer from the pollinator.org site. They have planting guides for all types of ecoregional climates. I happen to be in the Eastern Broadleaf Forest area. The guides are colorful with great tables and resource information. I highly recommend them. 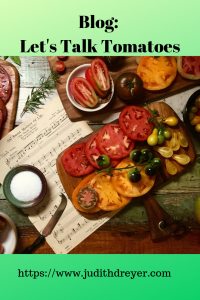 Buy Heirloom and organic seeds. There are so many great companies, often local, such as Truelove Seeds ( my podcast guest 2 weeks ago) to buy from and support. Plant pollinator-friendly plants, add more if you can. Consider replacing lawn with more natural foliage that supports our pollinators. 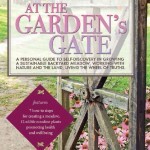 At the Garden’s Gate has a practical chapter on how to do so. Start a seed saving bank at your local library. Learn about one new beneficial bug. Learn to properly identify it, its habitat, how it mates, what it needs for food and where it fits in with its local ecosystem. For me, I am going to learn more about praying mantis. What critter will you choose? Let me know. I enjoy all your comments and stories. On the top of a hill in the Blue Ridge Mountains in Floyd, VA sits a sanctuary devoted to bringing and allowing bees to function and exist as their nature intended. Gardens grace the land with seven types of hives placed in a circle in the midst of plants that support their needs. Though mist and a gentle rain surrounded the day work continued and I was grateful to be of some help at the Spikenard Farm and Bee Sanctuary. 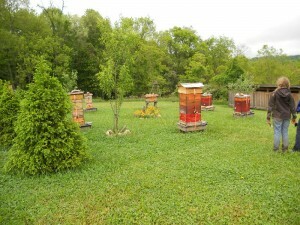 I had the wonderful opportunity to visit this farm and bee sanctuary recently. Lending a hand where needed I met Gunther and Vivien Hauk, author and the founders of the sanctuary. I also met Jane, Summer and Rick sanctuary staff members. Together we planted an annual garden bed working side by side sowing seeds such as flax, poppy, zinnia, and sunflowers to name a few. Together we lightly hoed to tamp the seeds into the turned earth. It is said that “many hands make light work”. It’s true. We had this area seeded and hoed in no time working cooperatively. Teaching, learning, helping got the job done in a pleasurable way. I couldn’t help but wonder what songs my Native American ancestors would sing while getting the job done! The intentions of supporting and sharing the healing of the bees and supporting the land were part of my purpose in going. After weeding in the vegetable gardens we broke bread, shared stories. Then Gunther and I walked the property edges. He showed me future plans for expansion all in keeping with the concepts of biodynamic farming and beekeeping. staff showed. Vital, intense, committed to giving to the whole is the dynamic of a hive. It was a pleasure and a privilege to visit this lovely and well cared for ground. I have mentioned the plight of our honeybees in previous articles and discussed the concept of relationships in some measure. Biodynamic farming builds and enriches the soil. Biodynamic beekeeping cooperates with the natural order of the Hive, maintaining the integrity and health of these beautiful creatures. We can co-create with the resources beneath our feet and share these resources supporting the dynamic of respectful partnership. Also, Gunther and his wife are Waldorf School trained teachers. 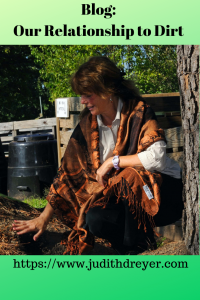 The Biodynamic way of farming comes from Rudolph Steiner as does this education model. For more information on Rudolph Steiner’s model for teaching and Biodynamic farming methods and philosophy visit the highlighted link. Spikenard Farm relies on the support and donations of you and I. I ask all of you dear family and friends to consider donating to this worthwhile model. Description: Today’s talk is all about bees and pollinators. Gunther Hauk is a world-renowned advocate for bees. 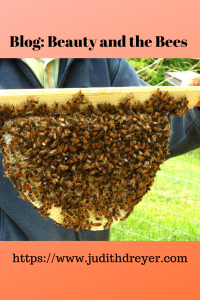 Spikenard Farm and Honeybee Sanctuary, in Floyd VA, offers training, classes in beekeeping, seed saving and more. Featured in the documentary, Queen of the Sun, he shares his wisdom, expertise and deep caring for the natural world. I am honored to have him here today and I hope you will be as inspired as I am by his wise counsel. All comments are appreciated. About My Guest: Gunther Hauk is a retired Waldorf school teacher. 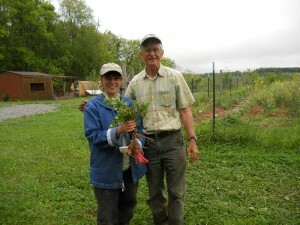 He is the founder of Spikenard Farm, Honeybee Sanctuary, located in Floyd, VA. He is also the founder of the Pfeiffer Center in Spring Valley, NY. Both farms operate on biodynamic principles. Gunther is featured in Queen of the Sun documentary where he joins with others highlighting the issues and the grave concerns many have over the honeybee population declines.